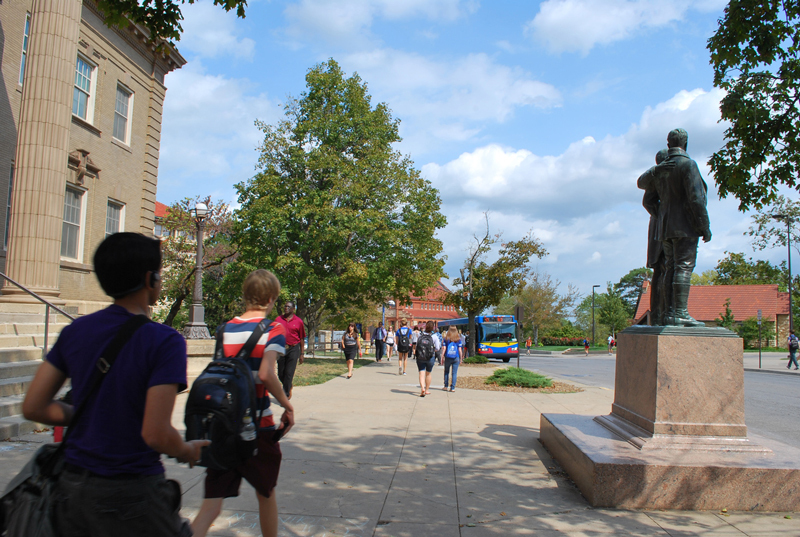 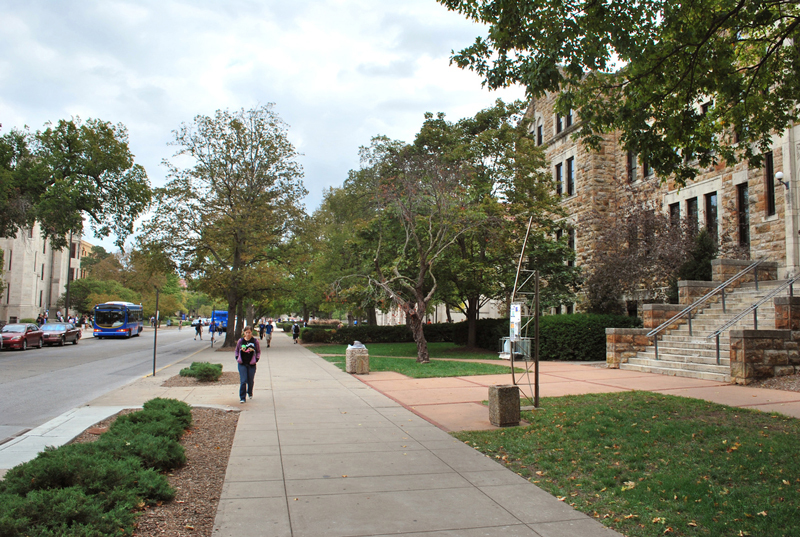 STRATA Architecture Inc. served as the Consulting Preservation Architect for the reconstruction of Jayhawk Boulevard (the primary artery through campus) on the historic University of Kansas. 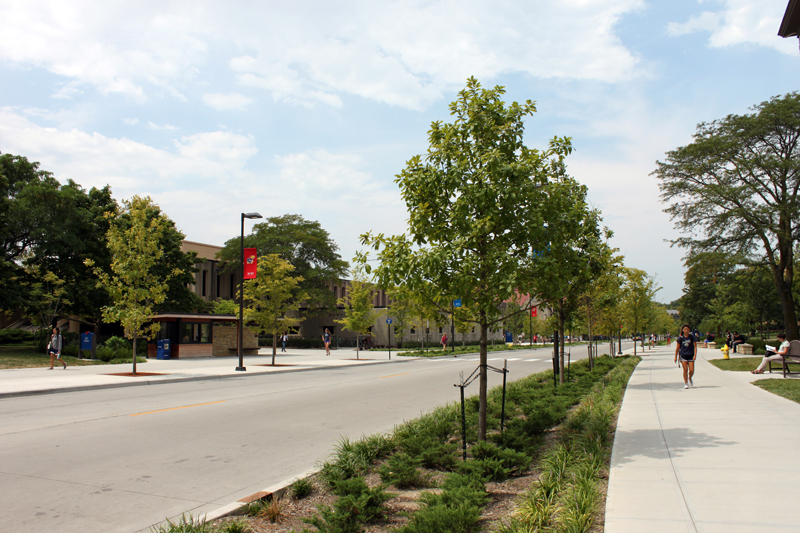 Working with the University and the Design Team of engineers and landscape architects, our work included assessment of the existing Boulevard and its context and the production of construction documents for various architectural site structures, historic class gift reconstructions and stone site walls. 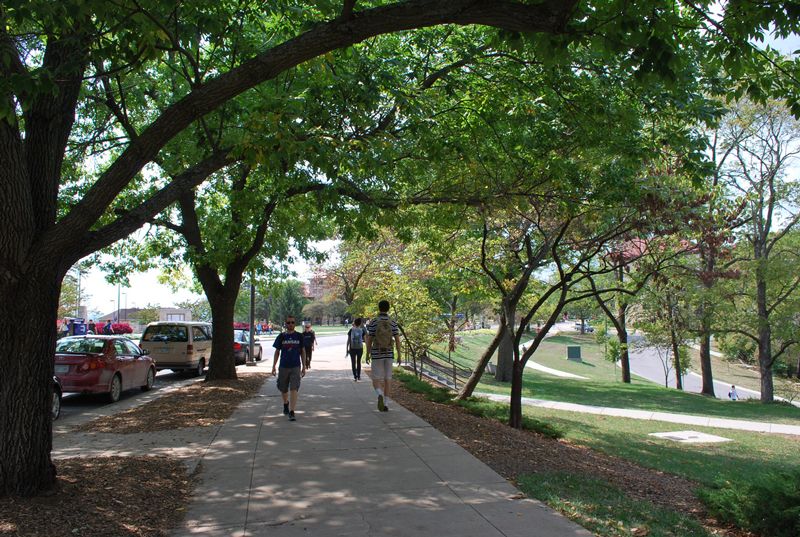 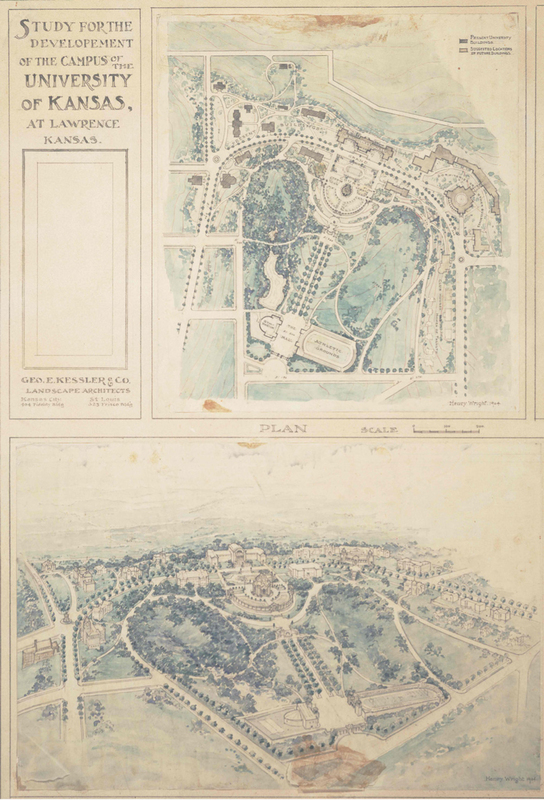 Historic research included historic photographs, postcards, publications, master plans, historic drawings and planting plans in order to make recommendations for the major rehabilitation of Jayhawk Boulevard. 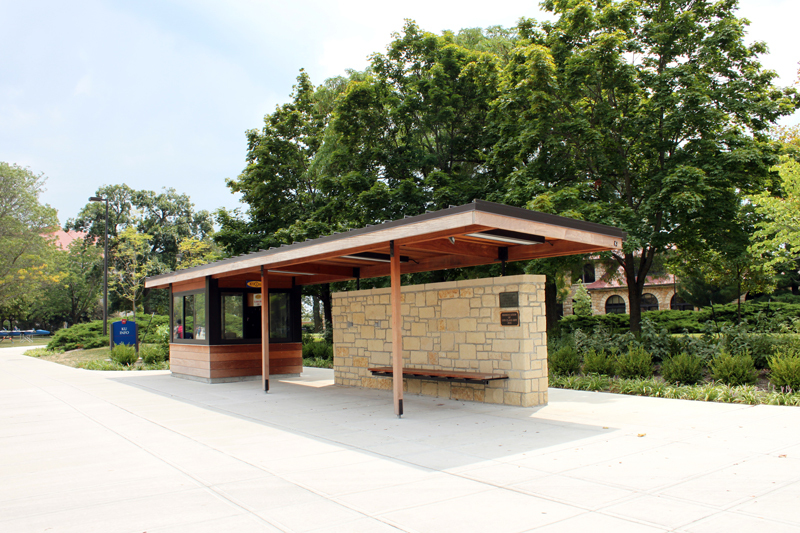 We consulted on the proposed paving patterns, street layout, new tree species, landscape plantings, planting beds, foot traffic patterns, lighting, reconstructions of historic class gift structures and site structures and furnishings. 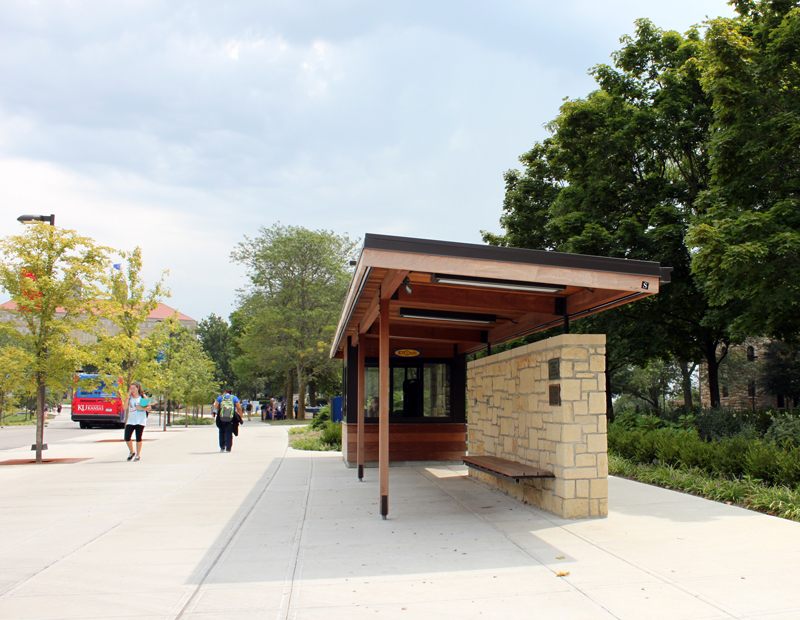 All proposed design work was coordinated with the Kansas State Historic Preservation Office to ensure its appropriateness for the historic Boulevard.